From the pages of 2000 AD, Stak is the fanzine for the ROGUE TROOPER. 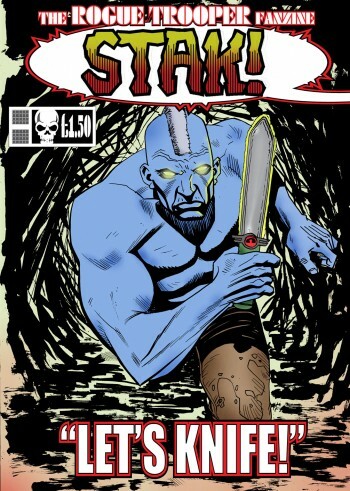 Stak collects together fan produced material including creators Al Ewing, Gordon Rennie, PJ Holden, Michael Carroll, Bolt-01, Richmond Clements, Bryan Coyle, Ed Berridge, James Kircough and more. This has been out of print for over 5 years and is now highly sought after.